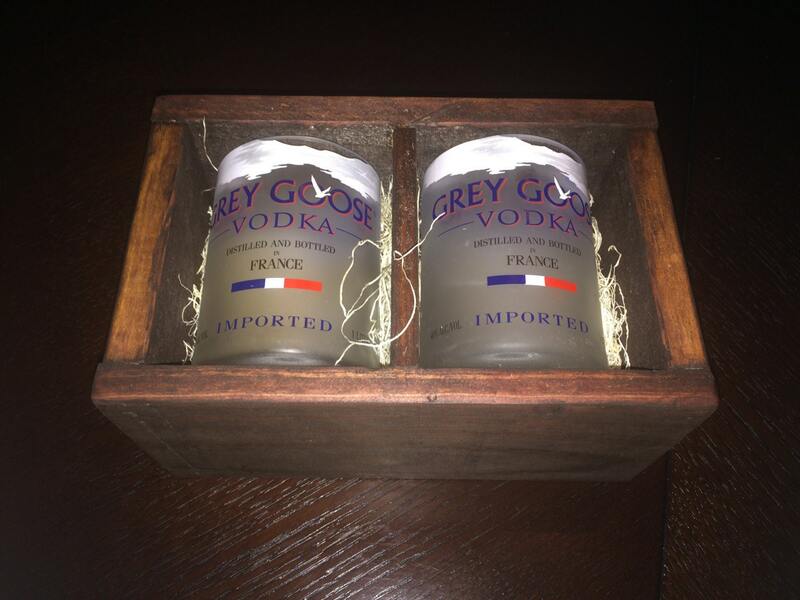 You are purchasing a set of 2 Grey Goose vodka rocks glasses made from 1 liter bottles. 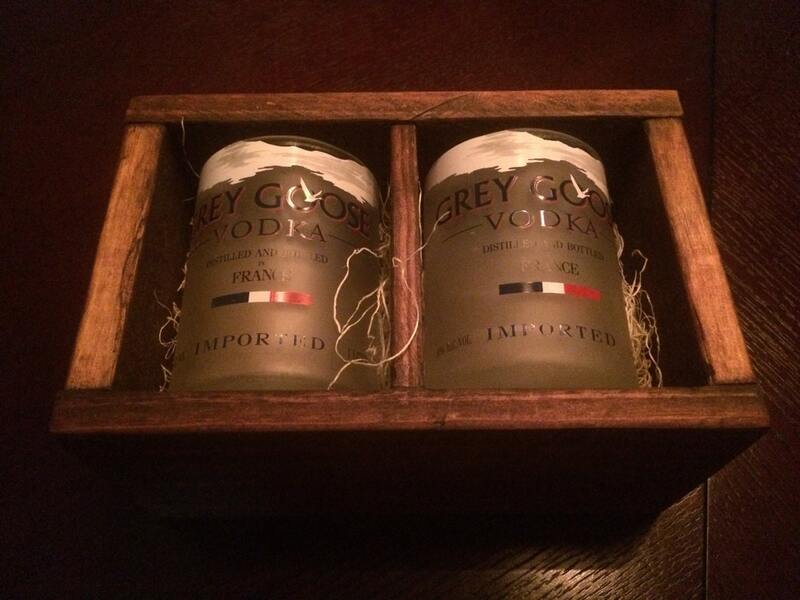 Included is a custom made wood box to present the gift in style. Great gift for the holidays.